Takamba music is played on traditional guitar (tamashek: teheredent), with a remarkable distinctive rhythm tapped out on a calabash. It’s always accompanied by a beautiful ghostly dance. I’ve written about the music previously and released a few records. The origin of the music remains somewhat shrouded in mystery. 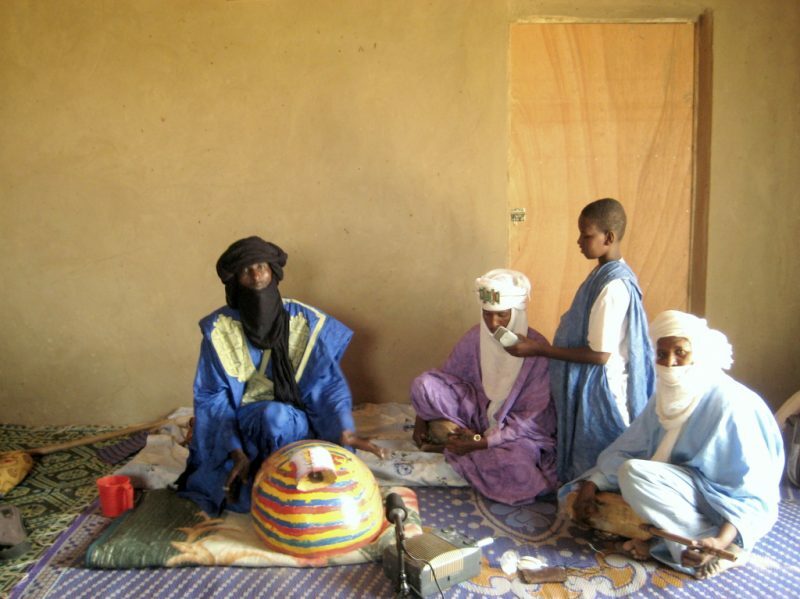 Suffice to say that it’s a hugely popular music that ruled the festivals and weddings in the North of Mali and Niger, before it was bumped out of fashion by the electric guitar teshumara that now dominates the scene. I first met Agali while searching for griots in Timbouctou, and he warmly invited me back to his home later that evening. I proposed to make him a recording, which he could sell on CD (later formed the basis of our 2012 release “Takamba”). The recording was punctuated with shout outs throughout – “Christoph! New York! Mali!”. Although I’ve not returned to Timbouctou in years, I once ran into the recording again. A tense moment, in rural Niger, fleeing from potential Salafists, it came on the car’s radio – a surreally comforting Agali kept sending me his thoughts as we barrelled through the countryside. It’s almost impossible to get a takamba recording minus the shout-outs. Takamba musicians usually do not play to release music in commercial form, and recordings are organized by someone. These sessions were recorded to cassette in the past. Takamba musicians played directly into a boombox and onto tape. The tapes circulated, resold and dubbed at markets across the Sahel. The format on the recordings is always the same. 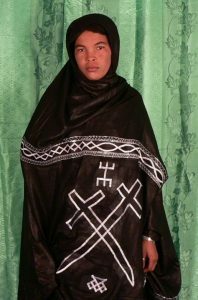 After a sort introduction (something shared with “teshumara” tuareg guitar recordings) the musicians launch into song, yet keep a constant narration about the songs, the musicians, the people present, and the person commisioning the recording. The songs become self referential, constantly reminding where, when, and why they were made. I’ve haven’t made it back to Timbouctou for years, due to security concerns. And it’s very difficult to organize a new recording with our channels of communication. 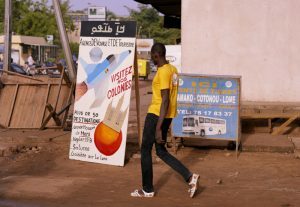 Agali, for example, speaks very little French, and any phone call requires him to walk through town to find his brother to translate. Even then, the connection to Timbouctou is fickle. And neither of them can use a computer, record songs, or have a monthly subscription to Google Drive. A few days ago I had an idea. 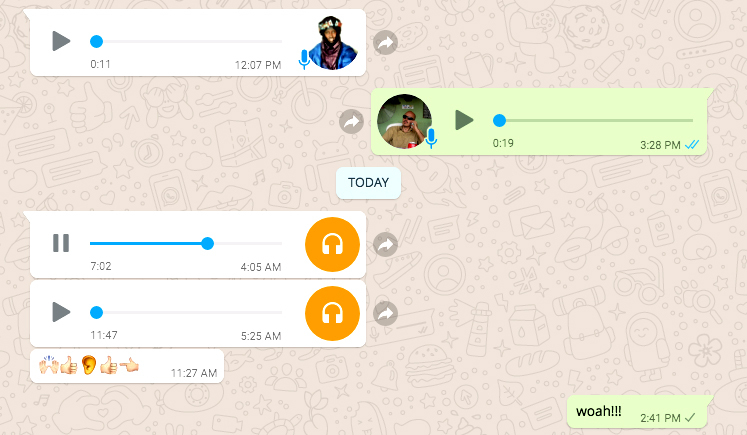 “Do any of the younger kids at your house have Whatsapp?” Soon I was connected with his nephew, who not only has a smartphone with Whatsapp, but also speaks English. We had actually met before, he told me: in 2011, we couldn’t find a mic stand, and he had been tasked with holding the microphone. With this new line of communication, we began planning a new album. Today, Agali sent over a recording. It was recorded today, played directly into the cellphone, and sent to me via WhatsApp. It’s recorded in the classic “cassette” format, with an introduction, explanation (in French! ), shout-outs, and name drops. The new media form of takamba is evocative of the cassette (Agali even refers to it as such on the recording). The new Takamba just has the added benefit that it can just move a lot quicker, if you know where to look. 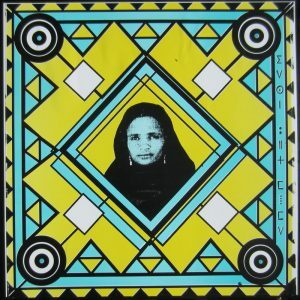 Agali Ag Amoumine’s Takamba WhatsApp EP 2018 is available on bandcamp now. It’s unmastered, not eq’ed, and preserves the format. It was recorded, sent, and uploaded today. It’s definitely the quickest we ever released a recording. It’s probably best listened to on a cellphone. It’s a free download, but if you pay 100% of proceeds go to Agali. I think that’s called World Music 2.0. We’ll have a new album soon, and hopefully a tour to follow in 2019!